The package of 13 days includes the best of Pilgrimage and leisure attractions of Gujarat & Rajasthan some of the attractions are Dwarka, Somnath, Mount Abu, Udaipur and Jaipur along with many other famous and important sightseeing of Gujarat and Rajasthan. This budget package is best for Honeymoon couple as well as leisure travelers looking for some quality holidays package in wintertime. Upon arrival meet and assist at the airport and transfer to the Hotel. Later proceed for sightseeing of Ahmedabad visit to Adlaj Step Well, Sabarmati Ashram, Akshardham Temple & Sabarmati River Front. Overnight stay at Ahmedabad. Today after breakfast, proceed to the sacred town of Dwarka. Visit Dwarkadeesh Temple. Take a holy dip in Gomti river. Overnight stay at the hotel. 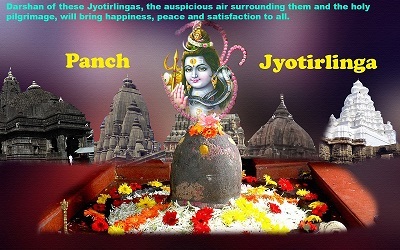 In the morning leave to visit Nageshwar Jyotirling, Gopi Talav, Bet Dwarka, and on way back do visit Rukmani Temple, evening visit Mul Dwarka and other temples on the coastal area, attend evening aarti at Dwarkadish temple. Overnight stay at the hotel. After breakfast proceeds to Dwarka Enroute visit Madhavpur. It is believed that Lord Krishna had married Rukmani in Madhavpur. Also, visit Gandhiji’s birthplace Kirtimandir and Sudama Temple. Sudama is a childhood friend of lords Krishna at Porbandar (130Kms/3hrs). Continued towards Somnath. Overnight stay at the hotel. After breakfast proceeds to Bhavnagar. Arrive at Bhavnagar Later proceed to visit Nishkalank Mahadev Temple in Koliyak, Bhavnagar. Overnight stay at hotel. After breakfast leave for Ahmedabad check into the hotel. later proceed to Dakor visit Ranchodrai Ji Temple at Dakor the main hall features paintings depicting events in Lord Krishna’s life. Darshan at the temple. After darshan return back to Ahmedabad. Overnight stay at Ahmedabad. The morning after breakfast leave for Matrugaya Kshetra later proceed to Mount Abu upon arrival hotel check-in. Later free time for relaxation. Overnight stay at the hotel. After breakfast leave for full day sightseeing of Mount Abu visit to Dilwara Temple, Ambaji Temple, Achleshwara Mahadev Temple, Nakki Lake. Overnight stay at the hotel. After breakfast proceeds to Udaipur. Upon arrival hotel check-in and later proceed for local sightseeing of City Palace, Sahelion Ki Badi, Lake Pichola and Jagdish Temple. Overnight stay at the hotel. After breakfast proceed to visit Nathdwara Shreenathji Temple (50Km/1hr –Darshan Timing 06 am to 06.30PM) En Route visit Eklingiji Temple. Later proceed to Kankroli (20Km/20min - Darshan Timing 6.45AM to 6.45PM). The KankroliTemple is the most significant temple of the Vaishnavas and Vallabhacharya sect. overnight stay at the hotel. After breakfast leave for Jaipur en route visit to Pushkar Lake & Brahma Temple. Continue your drive and reach to Jaipur. Upon arrival, hotel . Overnight stay at the hotel. After breakfast leave for local sightseeing and visit to Amer Fort, City Palace Museum, Jantar Mantar, Hawa Mahal, Albert Museum, Laxmi Narayan Temple. Overnight stay at the hotel. Accommodation for 12 nights in the above-mentioned hotels or similar. All transfers and sightseeing by AC Innova as per above itinerary with excellent chauffeur. Any cost arising due to force majeure factor. · Before hiring local guide check there identity card. · Settle the charges prior to hiring the guide so that there is no confusion or arguments later. · Don’t discuss anything personal with the guide. · Get yourself thoroughly checked prior to travel as the distance between destinations are far. · Carry all your prescribed drugs in ample quantities. · Carry first aids by yourself. · Carry items such as mosquito net and repellent creams so as to avoid falling prey health issues like dengue. · Do not consumed fruits and salads that are cut and displayed by hawkers. · Drink from packaged mineral water bottles. · You shouldn’t accept any type of food offered to you by strangers. · Alcohol is prohibited in Gujarat. So, when you are in Gujarat stay away from those hard drinks or else you will be heavily fined. · When you are traveling to Gujarat & Rajasthan watch out on what you are wearing. · Gujarati and Rajasthani people are very traditional-minded and may not at all entertain any kind of vulgarity in attires. · So, don’t wear clothes that make you look vulgar because that may hurt the sentiments of the Gujarati locals. · Don’t leave your goods and luggage unattended. · Don’t leave your goods and luggage with someone whom you don’t know property. · Beware of pick pocketing. · Put your hotel room and your luggage under lock and key when you are out for sightseeing. 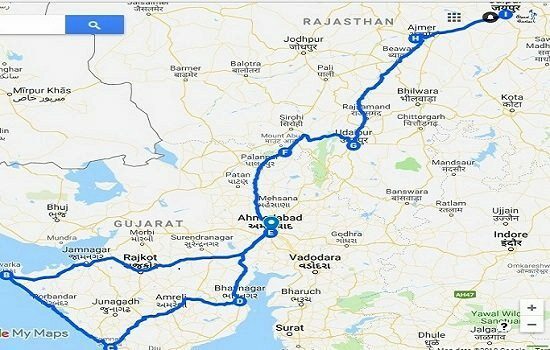 · Best time to travel Gujarat and Rajasthan is between October-March. · Book your accommodation and travel tickets quite in advance to avoid last minute harassment. · Check the opening and closing times of places like temples, monuments, museums, zoos etc to avoid unnecessary harassment. · Carry sufficient Xeroxes of vital documents such as passport, ID Proof etc. · Don’t break the local or prevalent rules especially when you are visiting some traditional or historic temple or monument. Don’t cause any harm to animals when you are visiting the various wildlife sanctuaries of Gujarat and Rajasthan.